Rep. John Lewis also refused to attend Trump's inauguration and first congressional address. 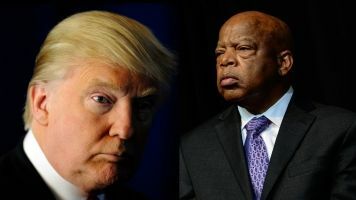 U.S. Reps. John Lewis and Bennie Thompson aren't attending the opening of the Mississippi Civil Rights Museum — at least while President Donald Trump is there. In a joint statement, the congressmen wrote: "President Trump's attendance and his hurtful policies are an insult to the people portrayed in this civil rights museum. ... After President Trump departs, we encourage all Mississippians and Americans to visit this historic civil rights museum." The announcement comes days after the NAACP released its own statement criticizing Trump's visit. A board member cited the president's silence on civil rights issues as its reasoning. Lewis' refusal to attend the museum opening adds to his other protests of Trump. The congressman also refused to attend Trump's inauguration and first congressional address.